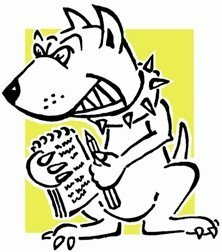 LOBBYDOG: A book in the making? A book in the making? While Lobbydog was chewing over the Mandelson and Blair books with Ken Clarke the other day, the Justice Secretary said something that should make several generations of politician nervous. “If I ever leave politics and have absolutely nothing to do and if I persuade myself I still have my marbles, then I may fall into that bad habit of politicians and try to write my memoirs. Given that Clarke has been around since 1970 (see pic), has run five Whitehall departments, served in three Tory administrations and contended the party leadership an equal number of times, it’s likely he knows one or two decent yarns. Older tales about Thatcher’s cabinet would be one thing – but I imagine, once free from the shackles of ministerial position, he might have a few interesting points to make about Cameron and Osborne too.